The software development kit ABBYY FineReader Engine allows software developers to create applications that extract textual information from paper documents, images or displays. This AI-powered OCR SDK provides your application with excellent text recognition, PDF conversion, and data capture functionalities, enabling it to convert scans into searchable PDF, Word or Excel documents, and access data on photos or screenshots. Available for Windows, Linux, Mac OS and embedded platforms. On premises or in the Cloud. Provide your customers with the outstanding OCR quality available in ABBYY FineReader. 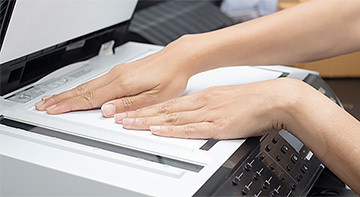 Leading providers of ECM systems, document imaging and capture solutions, RPA solutions, as well as scanner and MFP manufacturers trust ABBYY OCR technology. Expand your solutions. ABBYY FineReader Engine enables your software to convert TIFF libraries into PDF, PDF/A, Word or other formats, and accurately extract field values. 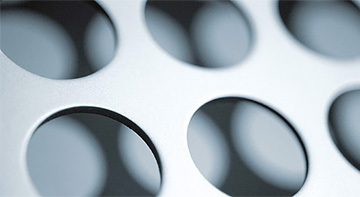 Develop on Windows, Linux or Mac and offer your software in the Cloud or on VM platforms. 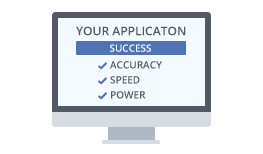 Outperform your competition and get premium OCR solutions to the market quickly - with OCR toolkit’s powerful APIs. Easily integrate world-class OCR features with the help of pre-configured tools, parameters, code samples and other components. With OCR toolkit integration, applications can extract machine printed text in over 200 languages as well as hand printed text, optical marks and barcode values. Versatile APIs allow processing many PDF types and converting scanned documents, TIFFs, JPEGs or image-only PDFs into different searchable PDF and PDF/A files. AI, ML and other advanced technologies provide outstanding recognition accuracy for multi-language documents and deliver searchable and editable documents that reflect their originals. Support for document processing in parallel threads on multi-core CPUs, deployment in the cloud and virtual environments guarantees fast, flexible and scalable processing. Learn how the software development kit ABBYY FineReader Engine can add value to your application. Let users of your systems easily find relevant information by turning documents into searchable and compressed PDF or PDF/A files that are available for electronic search and indexing. Enable your solution for the visually impaired or children with learning disabilities to access text in documents, leaflets, schoolbooks, or screens to read it aloud to them. 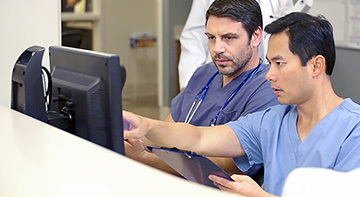 Securely capture paper-based patient information such as doctor notes or treatment plans directly into your electronic health record and hospital management platforms (EHR, HIMS). Enable search engines and data analysis tools to detect important information hidden in scans and images by transforming them into electronically searchable and accessible files. Implement automated content screening for outgoing e-mail-attachments such as scans, photos and other image files to detect possible breaches of confidentiality. Add screen scraping and automated extraction of screenshot information to your applications for Robotic Process Automation and Business Process Management. Volkswagen Corporation integrated ABBYY multi-lingual OCR in their machine vision system to automatically test their car infotainment systems. Canon has integrated ABBYY text recognition into their own document management systems to create searchable documents during the scanning process. Athenahealth, a US-based service provider for healthcare institutions, utilizes ABBYY OCR to digitize millions of pages weekly, driving efficient patient care. Find out what additional value your software application can provide to your customers in this knowledge-based economy. Learn about an easy to integrate toolkit that provides OCR, PDF conversion, document classification and Data Capture functionalities. This guide describes the key aspects for developers to look at image base preparation, OCR accuracy and speed measuring, SDK distributive size reduction and others.